New NBSR KAMIKAZE 8 mile tarmac Super Speedway with 2 dangerous crossovers 1 dirt and 1 cobblestone intersections that make this track one of a kind. More eye candy than your corner store. Blast past the pyramids see the sphinx and stop for a hotdog road side. This is a must get for all leagues and hobbyists. 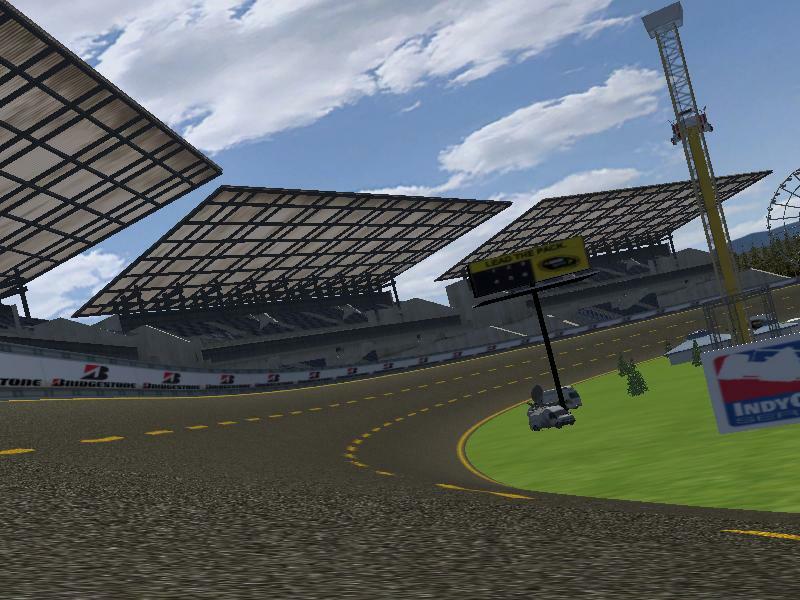 NBSR will be Starting a team race event soon you will need at least 3 drivers with a 6 driver max for VHR2011. Visit our website for more details. Track made for VHR2011 and rfactor dual installer. It's one of 1,064 meters Kartodromo. Looks like this track would be well suited to my V8 Supercoupe mod I've had sitting in the WIP section for the last 8 months. Looks like potential for big fun, but I keep getting a .sky error. Any help solving this? I'm using DX9. Thanks! Sorry all this is a fantasy track, and the authors name is GT-AUSTRALIA.. MY BAD. Why don't you make a .mas file instead of leaving all those .gmt and .dds around? I did it in five minutes, created a single 83 mb file instead of 1266 small files accounting for 200 mb.